Dean of Admissions William R. Fitzsimmons '67. 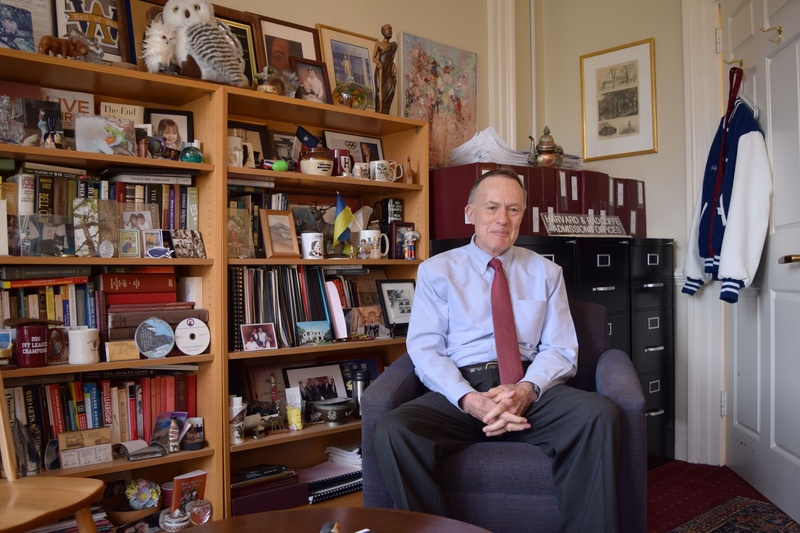 Two days before the start of a trial in a high-stakes and high-profile lawsuit alleging Harvard’s admissions practices are discriminatory, Dean of Admissions William R. Fitzsimmons ’67 had some thoughts he wanted to share with the College’s alumni interviewers. Harvard is currently battling a four-year-old suit brought by anti-affirmative action group Students for Fair Admissions that alleges exactly that. The University has repeatedly denied SFFA’s charges and has insisted it must consider race in order to fulfill its educational mission. In total, Fitzsimmons offered the alumni — who volunteer to interview applicants each year as part of the College’s admissions system — six bullet points that may come in handy should they encounter extra-inquisitive high schoolers. Harvard crafts “an extraordinary and diverse class” by “recruiting broadly” across the globe, Fitzsimmons reminded alumni. It “carefully reviews” each applicant’s materials. It pursues a “whole person evaluation” by searching for “excellences of all kinds” that go beyond mere grades and test scores. Its admissions process has been “cited as a model” by the United States Supreme Court. And “Harvard believes that its students benefit from learning and living with peers from different backgrounds, experiences, and perspectives in order to prepare them as citizens and leaders for the complex world that awaits them,” Fitzsimmons wrote. 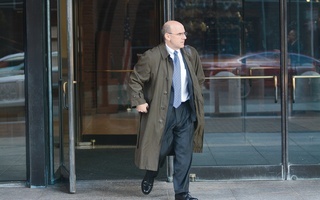 The dean’s email repeats rhetoric previously employed by Harvard lawyers in pre-trial filings. Beginning Monday, those arguments will face scrutiny from SFFA’s lawyers, United States District Judge Allison D. Burroughs, members of the press, and a nation eager for a behind-the-scenes look at how the world’s top-ranked university selects its students. 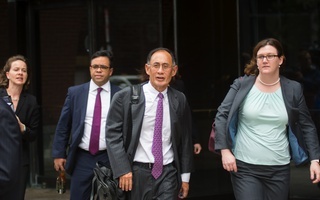 Harvard and SFFA will argue their respective cases in a Boston courthouse in a public trial expected to last for at least three weeks. If it reaches the Supreme Court, the case could reshape college admissions in the United States. Whether or not the University’s line of reasoning will convince Burroughs remains to be seen — but it proved less than effective for at least a few alumni interviewers. 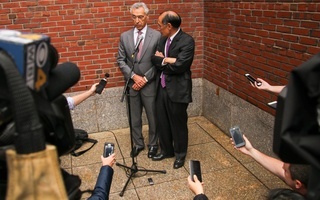 SFFA supporter Lee C. Cheng ’93, a lawyer for the Asian American Legal Foundation who said he has interviewed Harvard applicants for 25 years, sharply criticized the wording of Fitzsimmons’s email in an interview. “Maybe not in the trial, maybe not in five years, maybe not in 10 years, but someday,” he added. 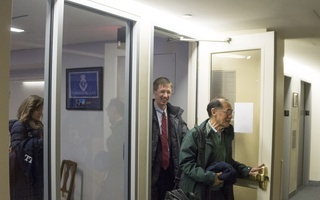 Cheng added he thinks the trial and Harvard’s alleged discrimination against Asian-Americans will “absolutely” come up in interviews with prospective members of the Class of 2023. 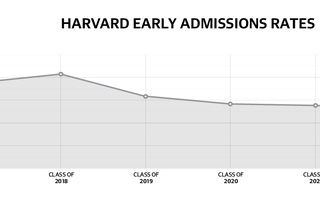 Former Crimson editor and prospective alumni interviewer Kevin A. Hazlett ’16 said that, while he supports affirmative action and Harvard’s commitment to diversity, he thinks the College’s admissions policy falls short in other ways. University representatives did not respond to a request for comment. And, though Harvard is encouraging alumni to chat with high schoolers about the suit, there’s at least one group administrators would rather the alumni avoid. — Staff writer Shera S. Avi-Yonah can be reached at shera.avi-yonah@thecrimson.com. Follow her on Twitter @saviyonah.